Selling Real Estate is exciting. You get to experience and learn new things almost every day. 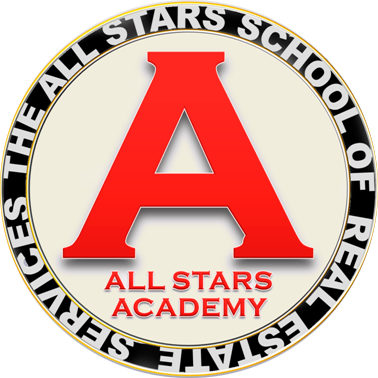 ​The All Stars Academy: Our commitment to Discover New Ways to help our agents grow their business. Through it we make available live training events, streaming webinars, and On-Demand instructional videos they can watch on their phones, tablets, and personal computers. So whether they are at home, on the road, or even watching a big screen monitor in our office, our agents can explore new ideas, get tips, advice, and improve their skills. At Realty World ALL STARS we believe that our agents have a duty to their clients to always be up-to-date on paperwork and contracts. We offer classes and one-on-one training and reviews. Our Open Door policy encourages our agents to come in, ask questions, express concerns and catch up on current trends and events. We are a "non-compete" brokerage. Our experience now comes from assisting our agents in their transactions. It's "hands-on" when you want it at Realty World ALL STARS! Many brokerages promise great support, but don't have the experience and systems to really deliver it. We take pride in our service to our agents. Their success is directly tied to our own. The recognitions and awards our Company receives come solely from the good work our agents do and the high professional standards they follow. want more for their customers as well as themselves. want to be associated with and surrounded by agents focused on doing a good job!